This dress is off-the-shoulder with quarter length sleeves and rich lace fabric throughout. Glitteri..
Sleeveless Illusion Beaded Top Evening Dress ..
Sleeveless Sheer Bodice Evening Dress with Sparkling Beading..
A V-neck chiffon gown is pleated at the bust and into the floor length skirt. There is a pleated bel..
Flora design embroidery details the bodice atop a light weight floor length full skirt. 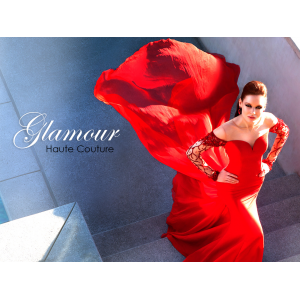 This is the ..
Bring out the best in you in this two-piece set gown.. 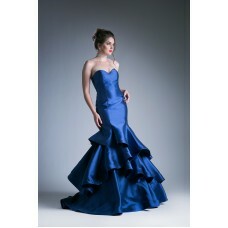 This beautiful evening dress features plunging sweetheart neckline with sparkling jewel detail the b..